The outing kicks off in July following the guitarist's annual run with Dead & Company. 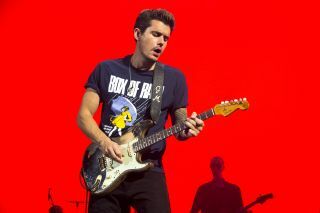 John Mayer has announced new North American dates to his 2019 World Tour. The run begins in Albany, New York, on July 19, and wraps September 14 at the Forum in Los Angeles. Tickets will go on sale to the general public beginning Friday, February 1, at noon local time through Ticketmaster.com. In addition to his solo world tour, Mayer is also touring North America with Dead & Company from May 31 to July 6. For more information, head over to JohnMayer.com.